Préparez-vous à être émerveillé par la magnifique architecture d’Istanbul, sa riche histoire et ses bazars éclectiques lors de la découverte des points forts incontournables de la vieille ville lors de cette visite privée d’une journée, de 2 ou de 3 jours. Émerveillez-vous devant la glorieuse Sainte-Sophie, découvrez comment la mosquée bleue a gagné son surnom et visitez l'ancienne citerne de la basilique. Vous visiterez également le palais de Topkapi, où vous obtiendrez un aperçu du style de vie somptueux des sultans ottomans et de leur harem, et parcourerez le légendaire Grand Bazar, où vous trouverez tout, des tapis aux délices turcs. Really enjoyed our 2-day tour of Istanbul, our guide was provided by Guided Istanbul Tours. Cigdem was super organised and practical. Scheduling the tour with good timing and creative tactics to ensure we avoided the queues and paced the tour to our preferences to ensure we saw what we wanted to see. With great calm, excellent English and a good sense of humour Cigdem made the tour interesting, informative and enjoyable. We took the private tour for two days and we are very pleased with the program that showed us the most important places in Istanbul. Our guide (Cisem) did an excellent job and speaks Spanish very well. We are very happy with our experience in Istanbul and I definitely recommend taking the private tour with this company (Guided Istambul Tours) and especially with Cisem (our guide). Excellent tour. Highly recommend. My tour guide was very professional and customized my tour accoroto our needs. Our tour guide was Semih Gumusay --- he was absolutely wonderful. He was professional and knowledgable. He showed us all the important sites and explained the amazing history. He took us to eat in authentic places. A wonderful experience! Creo que nos ha gustado tanto Estambul y la reserva como consecuencia de la labor tan fantástica llevada a cabo por nuestro guía Hasan, es excepcional. Saw a great deal of Istanbul in just 3 days with a tour guide who seemed like an old friend and took care of us like family. Selcuk took us to places that tourist and non tourists would visit. We had great dining experiences off the beaten path. We probably did more and saw more than a tourist on a regular group tour. From September 8 to 10 2018, my wife and I did the 3 day private tour with Mustafa, using the private car option for days 2 and 3. 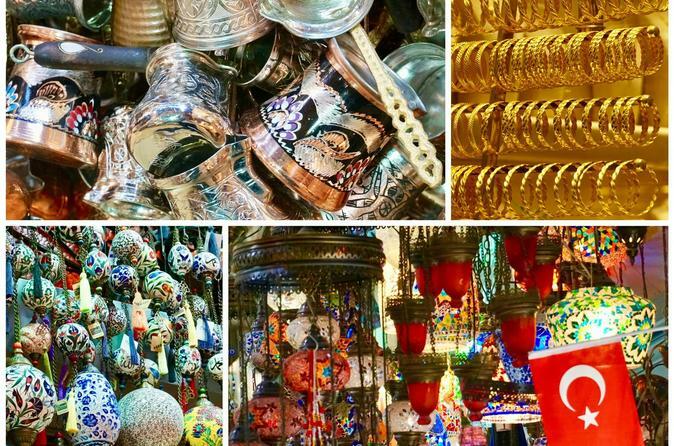 Mustafa is extremely knowledgeable about the sights we saw and their history, and Turkeys history, from its early days and through the Ottoman Empire and to the current time. Mustafa is a really professional guide and it was an awesome tour. Mustafa readily accommodated all of our requirements as we requested some changes to the itinerary, he quickly got us through the queues at all the busy sites, he was considerate of our mobility on all the walking parts of the tour, and he showed us parts of the city not normally seen by first time tourists. Using the private car option also gave us more flexibility in what we could visit and when. We have done very many tours in our travels and we would rate Mustafa as one of the three best tour guides we have ever been with. 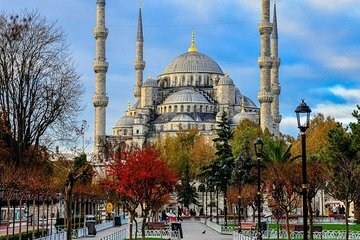 We would highly recommend him and this tour to all travelers visiting Turkey, and Istanbul. My guide Ebril was amazingly good. He is knowledgeable about all the tour points, history and background etc. He made me know more about the religion, the culture and the people of Turkey.